Is this a game you want to play? Read the Review and Find out! Saw has become pretty popular over the past years, with a new iteration of the movie coming out almost every year. Each movie displays the challenges that Jigsaw lays out for his victims as he attempts to make them appreciate live in his own crazy way. 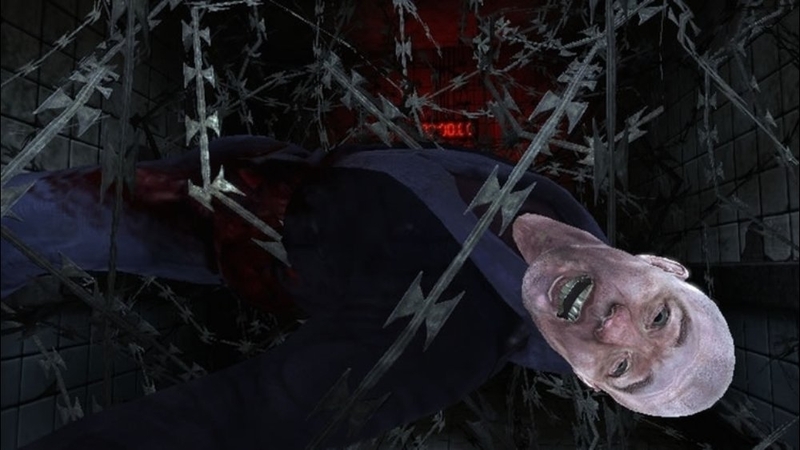 The Saw videogame allows you to play as Detective Tapp as you find out more about his story. 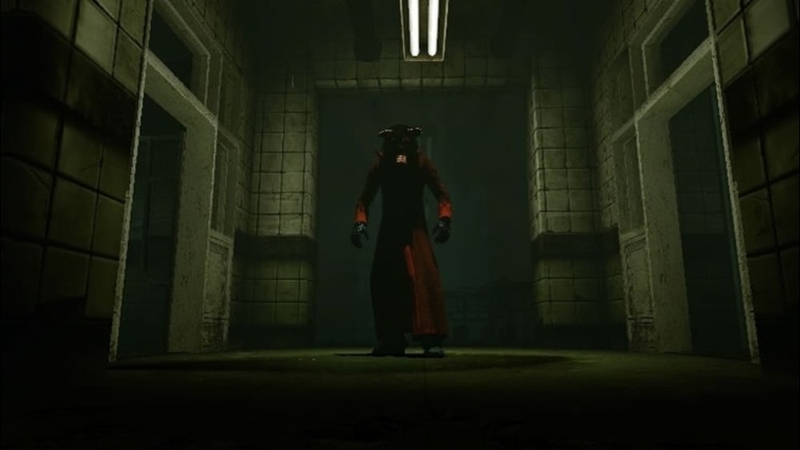 The game takes place between Saw I and Saw II, with a few familiar characters in the game that fans may recognize. 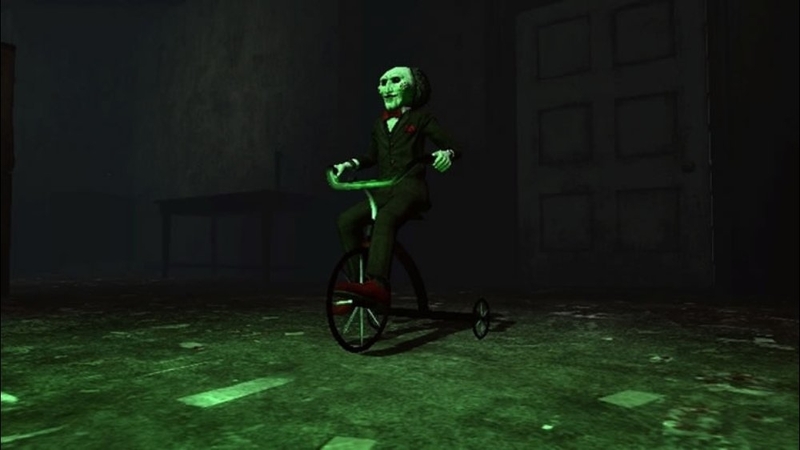 When the Story Begins, Jigsaw has you trap in a reverse bear contraption that was seen on the movies many time before. After you escape, you must follow the clues Jigsaw has left behind in order to save the survivors that are connected to Detective Tapp. Almost all of them have been involved with your obsession of catching Jigsaw, and may have suffered because of it. Along the way you will encounter others taken by Jigsaw who want to take you out because you hold a key to their escape, and they'll do anything to take it. There are many ways to defend yourself in the game, and almost every weapon you use will be able to handle the others who try and take you on. 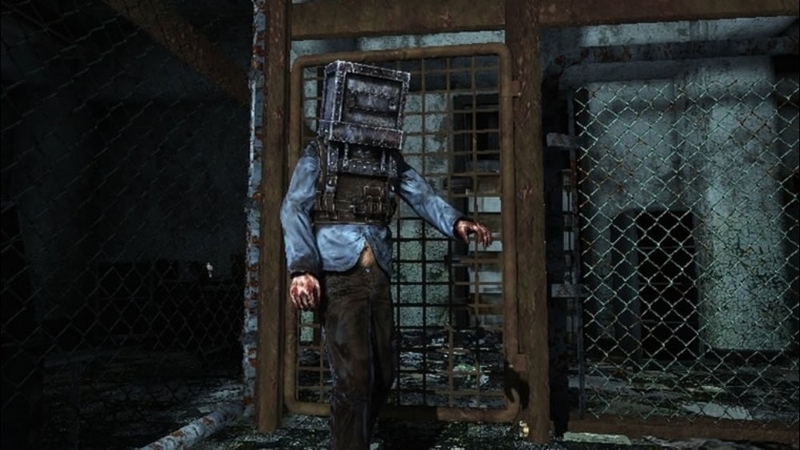 the game is puzzle solving and saving survivors, and about 30% is defending yourself in combat from the others in the Asylum. It took me about 5-6 hours to get through the game and obtaining all the achievements is a very reachable goal. After I beat the game, I had 43 out of the 46 needed for 1000/1000, and bent back to get the last three. The overall feel of the game is to wander the asylum that Jigsaw has put you in as you explore the dangerous area looking for a way out, while helping others escape their own traps. The most important thing in the game is to be aware of your surroundings as you traverse the environment as almost every area you come across contains many traps that could end your game. So overall if you like the Saw Movies and a good horror game to play for a few hours, then check this one out. It's a solid game that does everything you might expect from a Saw game, and a great game for some more precious gamerscore! I would say roughly 5-6 hours on Normal, and a few more on the harder difficulty since enemies will kill you a little bit quicker. Not that much re-playability since you don't have any other reason of playing through unless you really enjoyed the game or hunting for some achievements. Is it a rent or Buy? I would say rent if you are a fan of the Saw movies.